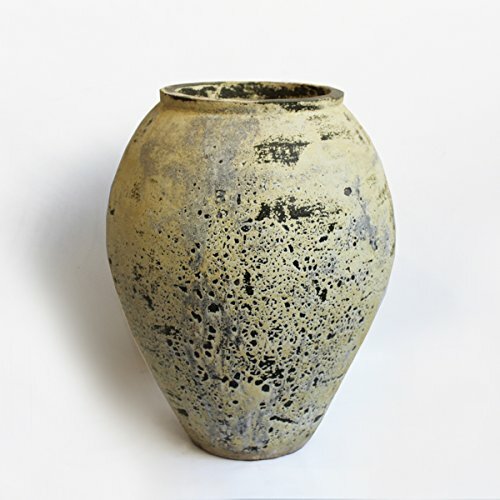 Handmade earthenware clay pots fired in the traditional ancient underground scorpion stoves. This old-world technique uses wood fired kilns instead of gas. This original style of preparing this Thai pottery gives a beautiful yellow green finish that varies from piece to piece. Many shapes and sizes are available, crated and imported for use as indoor or outdoor planters and decorative garden elements. Design MIX Furniture also creates unique water features and custom designs from these beautiful earth ware pieces for your home or garden setting.